1983-1984. The Camarines Sur Polytechnic Colleges, popularly known as CSPC, is the brainchild of some Prominent Nabueños who have long dreamed of having their college. Its establishment came into reality as a result of the feasibility study initiated by the defunct Bicol River Basin Development Program (BRBDP). Said undertaking is an inter-agency commitment with the aim of promoting a balance agro-industrial development in the region to achieve the national development goals of the 80’s. The idea of having a community college within Nabua was first conceived by then Municipal Mayor, Atty. Ulpiano D. Duran Sr. so that poor and deserving Nabueños who wish to take post secondary and collegiate course could be freed from the burden of going to other places and save a lot of their education. With the support of Vice Mayor, Hon. Sofio Barela, Sr., the Sangguniang Bayan passed a resolution for the creation of a community college within the Nabua National High School. Atty. Duran submitted the resolution to the Governor Felix A. Fuentebella for approval and funding assistance. Considering the merit of the request, Governor Fuentebella endorsed the proposal to BRBDP Director, Col, Lorenzo Ballecer, a Nabueño, who then initiated the conduct of the feasibility study by his technical men with the assistance of some personnel of Nabua National High School. On the course of the study, the team did not only consider the establishment of a community college but also the possibility of putting up a state tertiary instution in the area. 1985. The first organizational meeting of the college was held on February 22, 1985 at the Provincial Capitol of Camaranis Sur. Deputy Minister Vedasto G. Suarez who represented the MECS Minister Jaime C. Laya, presided over the meeting, Government officials present were: Hon. Felix A. Fuenteballa, Governor; Atty. Fernando O. Beriña, Provincial Kagawad; Atty.Ulpiano D. Duran Sr., Municipal Administrator Mr. Germites C. Dineros , NNHS Principal : Atty. Magno Catabijan Sr.. MECS Legal Officer: Atty. John Imlan , PASUC Administrative Officer, An Ad Hoc Committee was created headed by Dr.Ciriaco N. Divinagracia, the designated officer in charge. The committee was tasked to prepare the implementing guidelines for the operation of the collage. Some of the key officials who attended the first organizational meeting on February 22, 1985: (L-R) Hon. Felix Fuentebella, Governor: Atty Ulpiano D Duran, Sr. Municipal Mayor of Nabua: Engr. Aproniano Los Banos , Provincial Engineer; Dir. Carmelo R. Villacoria, BRBDP Director; Atty Fernando O. Berina, Provincial Kagawad; Dr. Francisco Pili, BFAR Director; Mr Constancio Cater, Provincial Administrator; and Hon Vedasto G. Suarez, Deputy Minister who repsented MECS Minister Jaime C. Laya. During its second organizational meeting on April 1, 1985, the implementing guidlines were approved and Provincial Kagawad Fernando O. Beriña was designated Officer-in-Charge of CSPC and six (6) administrative Personnel, the College has initially managed to run affair. A total approximation of Five hundred thousand pesos (Ᵽ500. 000.00) was approved by the Provincial Government of Camarines Sur for the 1985 operation of the college as provided for in BP 512. Thereafter, the operation and maintenance shall be incorparated in subsequent General Appropriation Act. Atty. Fernando O. Beriña blazede the trail for the genesis of CSPC’s journey. May 7, 1985 was Red letter Day for CSPC when the college opened its door for enrolment. For the first ten days, it seemed as if the target of 240 students could not be attained. But when enrolment closed on May 27, 1985, the target was overshot by 105 students or a total of 345 students, broken down as follows: One Year Junior Business Machine Certificate, 87; One Year Junior Electrical Certificates 91; One Year Junior construction Tecnical Certificate, 80. 1986. Having no building of its own to accommodate its enrollees, a small office and six classroom of NNHS war damage building were temporarily offered for use after classes, while drafting classes were held at the library. For the first time, CSPC produced the first batch of graduates in the 1st ladder in April 1986 as follows: One Year Junior Construction Technician Certificate, 18; One Year Electrician Certificate, 23; One Year Business Machine Certificate, 28; and One Year Certificate in General Clerical occupation, 32. On September 25, 1986, Dr. Lylia Corporal-Seña was appointed as the first President of CSPC. Under her able leadership, she negotiated the temporary use of the Gabaldan Building owned by the Municipal Goverment of Nabua to accommodate the incresing enrolment. Day class schedules were opened and in the later part of 1986, the college rented a residential house owned by the Regalado Family to house congested offices at the War Damaged Building. This was the first attempt of the college to stand on its feet. Inspired by the strong determination of the leadership of Dr. Seña, a three classroom building was donated by the Late Engr. Cleto Descalso , a Retired US Navy. This was the first building in the swampy – 8 hectares site donated by the Provincial Government of Camarines Sur. In the same year, the Parents Teachers Association initiated the construction of a four classroom collage made of light local materials. In the latter part of 1987, classes housed at the War Damaged building were all transferred to the new site. Unfortunately, the cottage lasted only for more than One Year when it was totally destroyed by the Typhoon Sisang. 1987-1988. In CY 1987, ten (10) plantilla positions were approved for creation, namely: Administrative Officer 1, College/ Board Secretary, Budget Officer 1, Cashier 1, Accountant 1, Clerk 1, Security Guard, 2 Utility Workers and 2 College Instructors. The Ᵽ150.000.00 worth 3 classroom Descalso Building, donated by retired US Navy Cleto Descalso, was the first edifice built In CSPC. In addition, the Parents Teachers Association also donated a 4-room collage made of light materials that served as additional classrooms. a. The College entered into a consortium program with Eulogio “Amang” Rodriguez Institute of Science and Technology (EARIST) by extending the offering in CSPC Campus of its Master of Arts in Teaching Engineering Technology and Doctor of Philosophy in Education. b. Semsteral activities were conducted which exposed faculty members on the Principles and Methods of College Teaching, Educational Measurement and Evaluation, Philosophy of Education, and Values Education. c. Sent faculty members to in-service Training. The SY 1987-1988 was the most difficult and hard times for CSPC. Problems on the inadequacy of instructional materials and laboratories, the limited number of classroom and unpaid salaries and wages for CY 1987 posed a grave threat to the existence of the College. There was the budgetary deficit of almost one million pesos due to some plantilla positions already existing since 1986 but were not included in the Personnel Services itemization (PSI) for 1987, Supplemental budgets were requested but to no avail. Until finally, the College President, after series of negotiation with DBM Officials, was able to get additional budget in the amount of least Ᵽ 477.732.00 for the unfunded positions, it was a sigh of relief for those personnel who were affected. 1988 – 1989. School year 1988-1989 was worth remembering since it was the first time that CSPC was able to produce graduates in its degree program numbering 21 or 4.96% of the total number of 423 graduates in the non degree coursees, while 2 graduated in Master of Arts in Teaching under the CSPC –EARIST Graduate Consortium Program. Worth mentioning also is the first batch of graduates in Rural Midwifery who made satisfactory performance in the Midwifery Board Examination when 15 (71%) out of 21 examinees passed the examinations. 1990. Under the leadership of Dr.Seña, the ladder type curriculum came in full swing. Altogether, programs on instruction, student activities, administrative concerns, and infrastructure development were given priority. SY 1990-1991 marked the sixth year of the College. Together with the Engineering and Office Administration Technology Department, this year also marked the fourth year of the Health CareTechnology and Electronics Communication Service Technology departments, thus, these deparments had been offering all ladders of the curriculain in their respective deparments. On March 1990, the College produced the first batch of graduates of Civil Engineering, Electrical Engineering and Mechanical Engineering. The first batch of gradutes took their board examinations in October and November, 1990. The results of the boards examinations marked 50% (3 out 6) passing in Mechanical Engineering, 66.67% (2 out of 3) passing in Electrical Engineering, and 28.5% (4 out of 14) passing in Civil Engineering. 1991-1992. CY 1991 proved to be productive year for CSPC with series of accomplishment. The first batch BS Nursing graduated and two, out of eight, passed the Board exam for Nurses on June 1991, Two (2) of the 94.29% successful examinees of the Radio Telephone Operator conducted by the National telecommunication Commission were part of the top ten. Student from the Engineering Deapartment qualified for the National Elimination of the Math Wizard Quiz in UP Dilliman while students from IT Department were the regional representatives in the national contest in home electronics. The College also produced the second batch of graduates for the degree Philosophy of Education under the EARIST-CSPC Consortium Program. 1993. With the end of term of Dr. Seña, Mr. Ferdinand B. Valencia became the Officer-in-charge of the College thru the designation of the then DECS Secretary Armand V. Fabella. His legalistic approach and scrutiny restructure the college management system and conscious of the aim and objectives of technical education, improvements of programs offered, as well as infrastructure developments have been realized. Vital to students’ development were clear-out policies on-the-job traning/ in-company training / in-house traning and affiliation as well as the expansion of the scholarship programs on academic, band/ majorettes, publication, athletics, Sarangguniang Kabataan and Barangay Scholars to poor but deserving students. Attempts for voluntary accreditation to AACCUP have been started. It was the year when the BSECE course was made operational due to the approval of the third and fourth ladders which led to the separation of GRCO course and ECST curriculum which became BSECE. The results of Board Examinations in 1993 were remarkable due to higher percentage obtained, namely: Civil Engineering, 100%, Mechanical Engineering, 100%, Electrical Engineering, 100%, General Radio Communication Operator(GRCO), 71.4% Nursing, 71%, and Midwifery, 6.36%. 1994. This year had witnessed the prevalence of the major features of administrative practices such as: open communication, team work, appropriate participation in decision-making, encouragement of initiative mutual support, high standards/aim for excellence, performance evaluation and continuing self-renewal/curriculum development. With the concerted efforts of CSPC officials, faculty and staff, the campus was able to house more classrooms, college library, college museum, audio visual room, information building equipped with radio and communication dish satellite, computers, prayer room, chemistry and laboratory room, refrigeration and air-conditioning room, machine shop and medical and dental clinics. Physics room, drafting, carpentry shop, typing pool, clinical and midwifery laboratory rooms. Construction of automotive and shop building, phase 1 was completed in 1995, followed by the newly constructed multi-purpose stage and landscaping of the campus contributed much in physical development. Likewise, sports and athletics facilities improve with the construction of volleyball, basketball and lawn tennis court, and backfilling of almost one hectare athletic and NROTC training field. College library has a total collection of 7,185 volumes of books. 1995. In 1995, CSPC was the 2nd SUC in region V to be granted accreditation by the civil service commission which took effect on June 1, 1995. Under the CSC accreditation program, the college was granted authority to take final action on its appointment despite the fact that the college then was under an Officer-in-Charge. The accreditation was awarded as a result of the regular audit conducted by CSC which showed that CSPC satisfactorily meets all requirements for the grant of accreditation status. The college opened its enrollment in masteral courses under the in-house graduate program which offered graduate courses in Master of Arts in Nursing (MAN), Master of Arts in Teaching Engineering Technology (MATET) and Master in Business Management (MBM). The program was self-liquidating. In same year, the college entered into a memorandum of undertaking with Bicol University for the offering in CSPC campus of Doctor of Philosophy in Development Management, Master of Arts in Local Governance and Master of Arts in Peace and Security Studies, as part of BU extension program. Owing to the growing commitment to serve the community, it was not a surprise to the college to produce topnotchers in the board examination: in 1995, Mr. Josuel M. Terano – 9th Place in ME and Miss Melanie C. Gaspi – 12th Place in Midwifery. 1996. 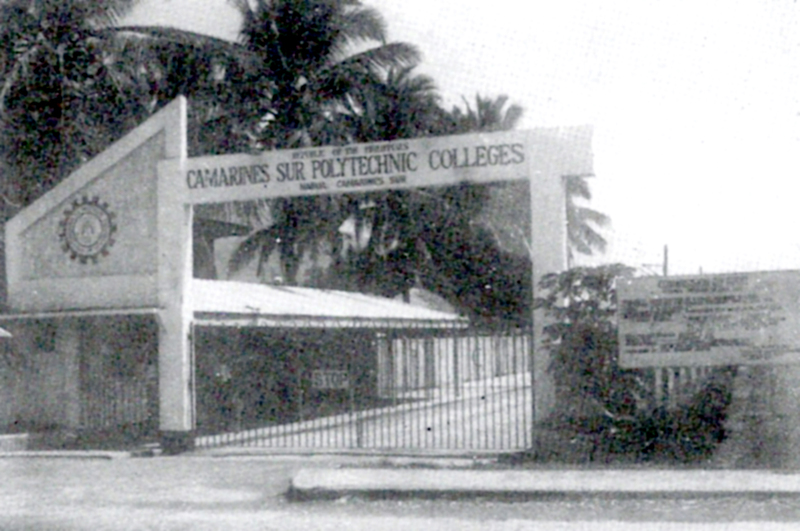 In 1996, CSPC has completed the development plan of the college which has set for the first time the blueprint of a preferred future for the school as the only Polytechnic College in Region V. The development plan was the concerted efforts of the faculty and staff and others stakeholders setting the performance targets for the next 5 years. It also identified priority programs, projects and activities with corresponding budgetary requirements. With the approval of the plan, the focused was the updating of curricular offerings and upgrading the teaching competencies of faculty to meet CHED policies and standards. To widen access to quality education, scholarship grants were extended to students who excelled in academics, sports and cultural affairs. Convinced by the good plans of the College, the Department of Budget and Management increased the budget of CSPC by more than 50% (from P 10, 638,000.00 in 1995 to P 16,248,000.00). Such dramatic increase in budget gave CSPC enough push to speed up all its development efforts. Moreover, the College Code was also completed codifying administrative and academic policies, rules, procedures and guidelines of the college. It served as a reference for all official transaction not covered by existing rules and regulations. In terms of instruction, the college prepared for the preliminary survey of the AACCUP TEAM for the accreditation of Engineering Programs. 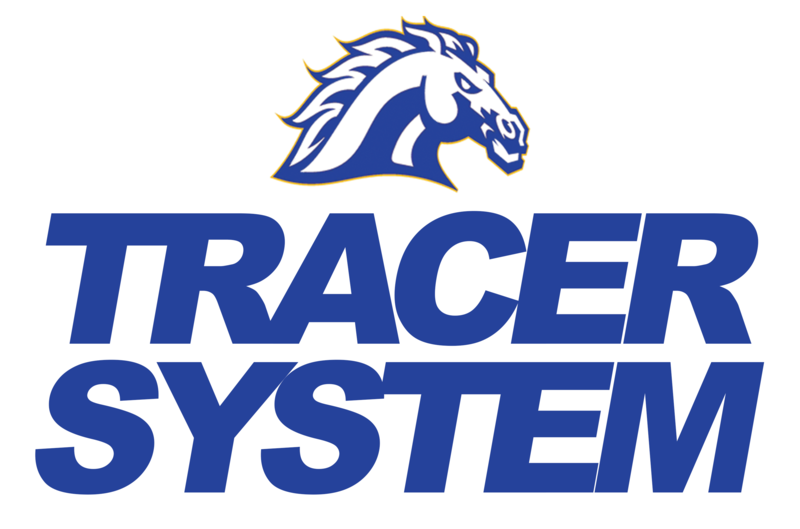 1997-2001. In May 16, 1997 to March 4, 1998, Dr. Lourdes G. Laniog assumed as officer-in-charge of the college until her presidency in March 5, 1998 to May 31, 2002. Through the years, instruction, research and extension have been the focus of her leadership coupled with the hiring of additional teaching and non-teaching personnel, improvements of school facilities particularly, construction of covered court but collapsed during the typhoon Rosing, construction and completion of multi-purpose building, additional construction of covered walk, upgrading and restructuring of the laboratory shop building, improvement of the water supply system, completion of the I.T building and rehabilitation of the automotive and machine shop building. Under her leadership, Secretary Raul Roco donated a 2 classroom building and the improvement of the AVR thru the fund assistance from Senator Magsaysay. Dr. Laniog stirred the culture of research and extension alongside quality education. 2002 – 2010. The 3rd CSPC President, Dr. Monsito G. Ilarde, was appointed on May 27, 2002 but his formal assumption to the presidency was on July 1, 2002. His investiture was on August 8, 2002 on the occassion of his birthday. Significantly, Dr. Ilarde was able to mobilized developments for the college that paved the way for its strong commitments to provide professional and technological education for regional development. These are: accreditation of all its program; produce board examination topnotchers as well as high percentage of board passers in almost all programs; compliance to EO 358 requirements of its non- degree programs; better students development programs and services; establishments and expansion of linkages; creation of the Buhi Extension Campus with strong partnership with LGU Buhi; scholarship programs for faculty and students; physical development in support to the college primary goal in providing quality education. With the passage of Republic Act No. 8760 on the integration of CHED Supervised Institution (CSIs) to State Universities and Colleges (SUCs), the Bicol Colleges of Art and Trades in Naga City was integrated with the Colleges and became CSPC Naga Campus pursuant to CSPC Board of Trustees Resolution No. 00044. Along this continuing programs and developments, CSPC stands firm to become the regional center of professional and technological education, research and development. Committed to promote access to higher education for the citizens of the service area especially the poor but intellectually capable individuals, the college upon approval by the Board of Trustees, per board resolution No. 08-439, established an extension campus in cooperation of the Local Government Unit of Buhi Camarines Sur, to be called as CSPC Buhi Campus. Curricular programs such as BSEED, BSIT and ECST were the identified priority courses for the new high school graduates during the initial opening of classes last school year 1998-1999. Significantly, Dr. Ilarde was able to mobilize the developments for the college that paved the way for its strong commitment to provide professional and technological education for regional development. These are: acrreditation of all its programs, produced board examination topnotchers as well as high percentage of board passers, compliance to EO 358 requirements of its non-degree programs, enhanced students development programs and services, establishment oand expansion of linkages, creation of Buhi Extension campus with strong partnership with LGU Buhi, scholarship programs for faculty and students, physical development in support to the college primary goal in providing quality education. Dr. Ilarde as builder and risk taker, made possible the era of modern CSPC. He was re-appointed for a second term on May 2, 2006 to May 2, 2011 and extended to be the College’s Officer-in-Charge until May 2, 2011. 2011-2018. In May 3, 2011, Dr. Dulce F. Atian assumed as the 4th College President of CSPC. She envisions CSPC as a center of polytechnological education in the region. As such, continuing accreditations of all programs are in place and new curricular programs were opened to attain the goal of a university status. 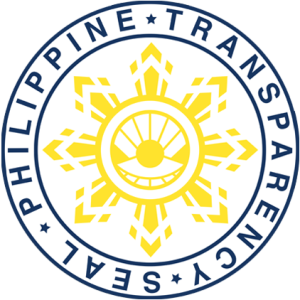 In her term, CSPC is committed to instruction, research, extension and production along with a pro-active and transparent government system guided with the strong values of Truthfulness, Empowerment, Availability, Motivation, Workmanship, Optimism, Responsibility, and Kindness, in short, TEAMWORK. On May 3, 2011, Dr. Dulce Fajardo-Atian took her oath as the 4th College President of the College. Her 1st term ended 4 years after and she was re-appointed for another term on May 3, 2015 to May 3, 2019 by virtue of BOT Resolution No. ___, s. 2015. Under the leadership of Dr. Dulce F. Atian, CSPC pushed for greater heights. It impressed the world with its outstanding performance in Instruction, Research, Extension and Governance and amazingly, it is in this term that CSPC is at the peak of its horizon as she transformed CSPC from a culture of mediocrity to a culture of excellence. On October 19, 2012, the long-awaited dream of CSPC Naga campus came into reality. President Benigno S. Aquino III signed Republic Act No. 1110231 separating CSPC Naga Campus and converting it into Bicol State College of Applied Science and Technology (BISCAST). CSPC received stellar awards and recognitions from different award giving bodies which are a collective efforts of the teaching, non-teaching, students and stakeholders’ efforts towards excellence. Among the many awards received by the College are the following: 1st ISO 9001:2008 Certified Institution in Rinconada and 2nd in Bicol Region and recipient of Quality Service Award for having established a Quality Management System, Top Performing School of Midwifery in 2012, 2013, 2014 and 2016, 2017 Home of Board Placers and Topnotchers for having successively produced placers in Civil Engineering, Electrical Engineering, Mechanical Engineering, Civil Engineering, Nursing, Midwifery and Education, 1st TESDA Assessment Center in Rinconada, consistent awardee as Best Smoke Free Government Office and Red Orchid Awardee from 2015 to 2017, PRIME-HR Accredited, Saringaya Awardee, Ranked 52nd in National and 4th in Bicol Region among the 1,300 HEIs in the Philippines in terms of Board Examinations in 2016 by Find University.ph, Top Performing SUCs based on the number of programs awarded accreditation status by the Accrediting Agency of Chartered Colleges and Universities in the Philippines Inc. (AACCUP), consistent qualifier in the Performance-Based Bonus from 2012 to present, consistent budget increase not just in MOOE but also in capital outlay, and in 2018, included as among the 10 SUCs with the highest budget increase, attained SUC Level 3 based from the evaluation of the Commission on Higher Education and Department of Budget and Management, and recognition from various award giving body by students in local, regional, national and international level and many others. One hundred percent of accreditable programs are also accredited by the Accrediting Agency of Chartered College and Universities in the Philippines (AACCUP). Seven (7) programs are Level III accredited: BS Electrical Engineering, BS Mechanical Engineering, BS Civil Engineering, BS Electronics Engineering, BS Nursing, BS Office Administration, and BS Information Technology; Three (3) programs are Level III Phase 1 accredited: Master of Arts in Nursing, Master of Engineering, and BS Food Service Management; Master in Business Management is Level II Acredited, while BS Computer Science is Level I Accredited. Aside from program accreditation, Dr. Dulce F. Atian pushed for Institutional Accreditation with AACCUP and Institutional Sustainability Assessmenet (ISA) with the Commission on Higher Education to ensure that CSPC meets the required standards. It also opened its horizon towards internationalization by partnering with universities and Colleges abroad. Strong partnerships with Rajamangala University of Technology Tanyaburi, WorldWideLink Educational Development Inc., Korea International Cooperation Agency (KOICA), and 16 other universities inked for an exchange program for our faculty and students, support exchanges of academic and cultural nature for the mutual benefit and growth of the institutions. To ensure that quality and excellent education and service is at par with international standards, CSPC embraced International Organization for Standardization or ISO. It was on September 10, 2012 when Dr. Dulce F. Atian announced that CSPC shall lead the Rinconada towards ISI Certification in the Quality Management System Orientation. Two successive audits were conducted on April 30, 2013 and June 13-14, 2013 before the certification body of TUV SUD Asia Pacific TUV SUD Group certified on July 22, 2013 that indeed the College have established and applied QMS for the provision and development of tertiary and graduate education, research and extension services. Year after year, it sought certification and in July 5, 2018, TUV SUD certified that CSPC have transitioned from ISO 9001:2008 to ISO 9001:2015 standards. On February 22, 2017, Hon. Salavdor B. Belrao Jr., Representative of Una-Ang Edukasyon Partylist announced in the 2017 1st Quarter Board of Trustees meeting that House Bill No. 5119 has been filed in 17th Congress converting Camarines Sur Polytechnic Colleges (CSPC) in the Municipality of Nabua, Province of Camarines Sur into a State University to be known as Polytechnic State University of Bicol. In an interview by ABS-CBN and TV5 on March 10, 2017, Dr. Dulce F. Atian, SUC President II, said that the conversion would take time, but she is determined to meet the challenges alongside universityhood, together with the synergy of CSPC’s Power Team to provide highly technical and quality professional education through ladderized curricula in accord with the mandate. As CSPC envisions to be the regional center of excellence in polytechnic education, it likewise commits to provide quality and excellent education and services that satisfy legal and statutory requirements, current and future needs and expectations of clients and stakeholders by sustaining good governance conditions and continual improvement of its quality management system.